French authorities formed a human chain to save some of Notre Dame's most precious relics as flames engulfed the cathedral, Paris Mayor Anne Hidalgo said Monday night. 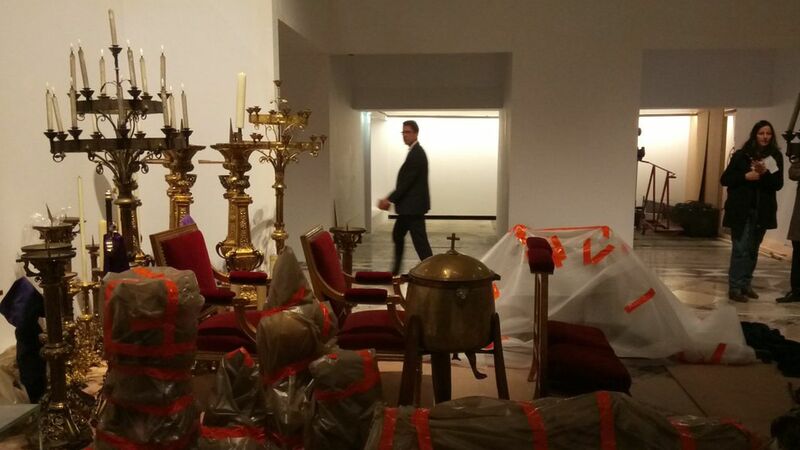 QuoteThe crown of thorns, the tunic of Saint Louis and many other major works are now in a safe place." Why it matters: The relics that were saved are priceless. The tunic of Saint Louis dates back to the 13th century. The the crown of thorns was brought to Paris in the 13th century by French King Louis IX (St. Louis). Christians believe the crown was placed on Jesus Christ's head at crucifixion, according to the Encyclopaedia Britannica. Details: Father Fournier, chaplain of the Paris Firefighters, is credited with saving some of the Cathedral's most precious relics.